Who can say they became good friends with someone by buying them a somewhat expensive gift? Well, that's exactly how my relationship with, Jason Zook, an awesome and inspiring community leader over at Wandering Aimfully (WAIM for short) began. Through his community he supports creatives in their journey of becoming, being, and thriving as an independent creative. I've followed his blog in the shadows for a couple years now, and one day he popped up asking if any company would like to sponsor a blog post dedicated to fitness. He outlined that he'd track how well a stationary bike at a desk would work. I mean, we sit here for long stretches of time anyway, why not put that time to use! Well, we don't know what his conclusion is quite yet, but make sure to follow the updates on his working while biking post in a super informative and extra entertaining fashion. Well done, Jason. We wanted to join in on some of that workout action as well. Becca and Biz took action into their own hands. After I pitching them on the idea of sponsoring this post, they asked me, "can we have a gym day for the full office?" I responded immediately. "Yes, of course". This is how Becca pitches the idea to the team. "You will have fun. You're going"
And so, Becca and Biz went to OrangeTheory that night and booked a corporate session for 30 individuals. We sort of polled the office to see who would be interested in attending. We had a couple hesitant responses which were quickly whipped into "YES" votes. The office knew that Biz and Becca wouldn't take no for an answer. For the most part, we all died. Which, if you don't know what OrangeTheory is, that's the point. The "orange" zone is where you want to be. It's your ideal heart-rate. 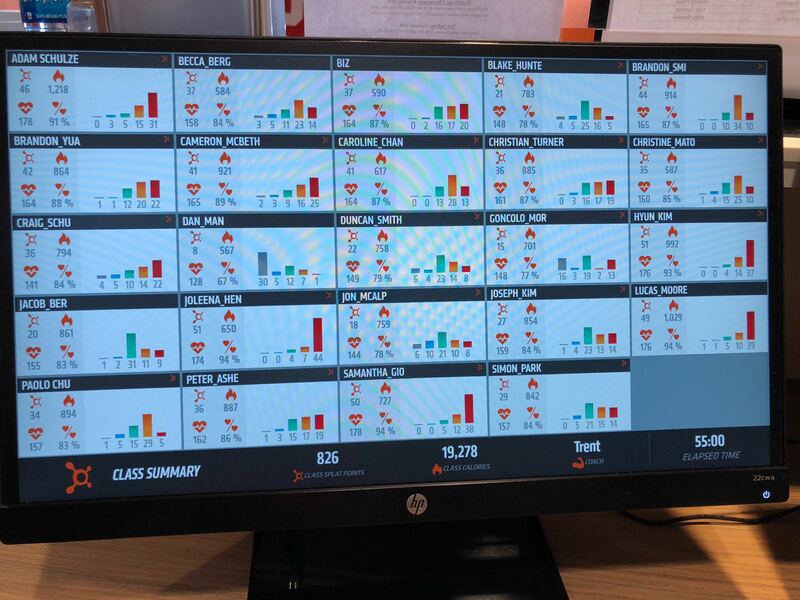 And then they post the entire class's heart rate on the screen so if you already felt out of shape and are having a hard time, you get to see that you're still in the green and that's just embarrassing so you work HARDER! Like I said, Dubsado takes fitness seriously. 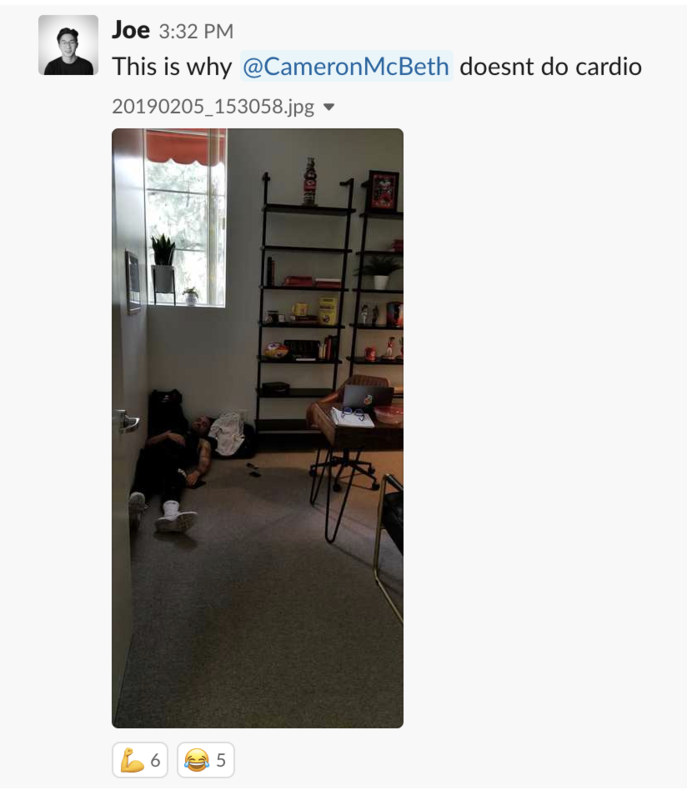 Cameron was both my personal trainer and Becca's before joining the team. He's yoked! Seriously. But check out him in the wake of OrangeTheory. Be careful with that cardio if you're not used to it! Anyway, as you can tell from the video if you get the chance to watch it: we had a super fun time. It's inspired us to create a new company movement called #dubsadoDoes where we'll pick one new company adventure each month. I wonder where the next one will take us! I hear bowling is a popular option. Maybe we could volunteer delivering meals. I'm open to anything, adventure awaits! Blog post is done! Why are you still here? 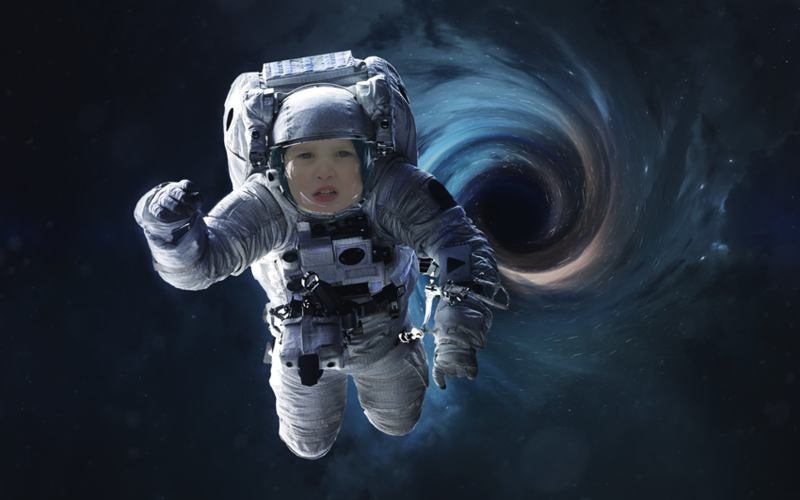 Well, you held out, so here's Becca and my 3 year old floating into a black hole.